Agricultural solid wastes either in natural or in modified forms have been successfully used for decades as non-conventional cost-effective adsorbents for removing metal ions and dyes from their aqueous phase and have been recognized as a sustainable solution for wastewater treatment. Therefore, this review article provides extensive literature information about heavy metals and dyes, their classifications and toxicity, various treatment methods with emphasis on adsorption characteristics by numerous agricultural solid wastes, or agricultural solid waste-derived adsorbents under various physicochemical process conditions. This review article not only provided an up-to-date information on the application of sustainable low-cost alternative adsorbents such as agricultural solid wastes, agricultural by-products, and biomass-based cost-effective activated carbon and various other natural materials in the batch adsorptive removal of heavy metal and dye from aqueous phase but also presented a comprehensive compilation of adsorptive pollutant removal information based on various reported continuous column operation studies which is one of the new aspect to this review article. The effectiveness of various batch and column operational process parameters on mechanistic adsorptive removal of both heavy metals and dyes by various agricultural solid waste-based adsorbents has been critically discussed here. Batch and column adsorption mechanism, batch kinetics, column dynamic modeling, and adsorptive behavior of adsorbents under various process parameters have also been critically analyzed and compared. 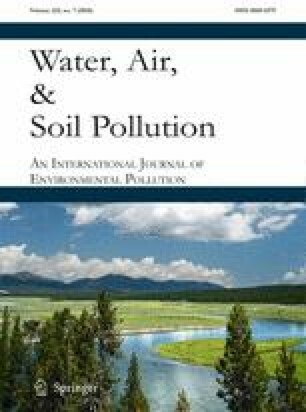 Finally, literature information on recovery and regeneration through desorption techniques and cost comparison of various agricultural solid waste adsorbents with commercial activated carbons have also been reported here. Conclusions have been drawn from the literature reviewed, and few suggestions for future research direction are proposed.